I must do this! : Bikes. Rants. Adventures. 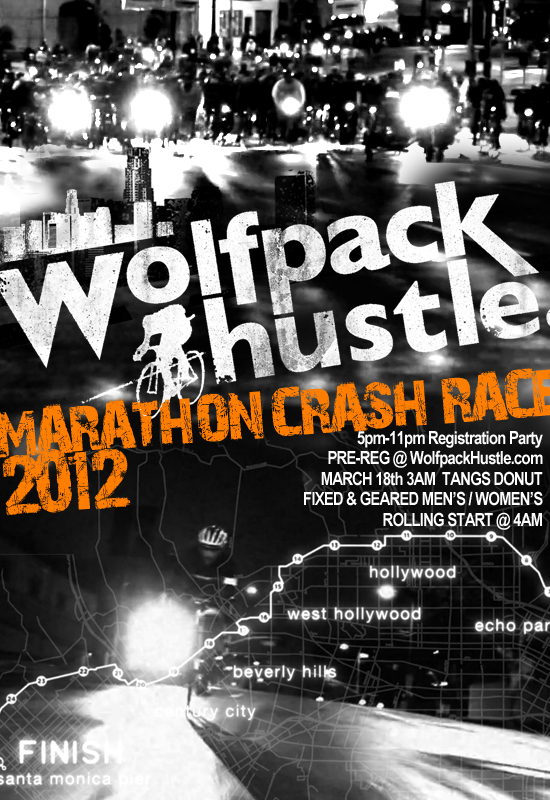 I'm trying to figure out the logistics of getting to the ever so awesome looking Marathon Crash Race that Wolfpack Hustle is putting on. Not to mention riding with a ton of awesome people. My current problem holding me back from registering is that I need to figure out how to get to the starting location in Silverlake. Now, the obvious solution is by bike, but my problem is it's quite far from me, and it is a race...I'd like to get there and at least have some chance of winning. I'm certainly not going to drive there, because the finish line is on The Strand, which I can just take back to my apartment. It seems like attempting to find a ride at this point is my best bet. I'm really hoping things fall into place for this one. Looks like an awesome good time.